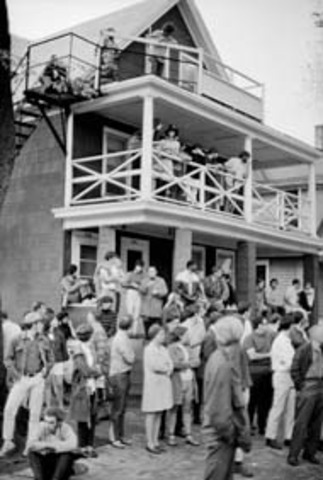 The first block party was a anti-Vietnam riot that lasted three days eventually spreading to the dormitories and Langdon Street. 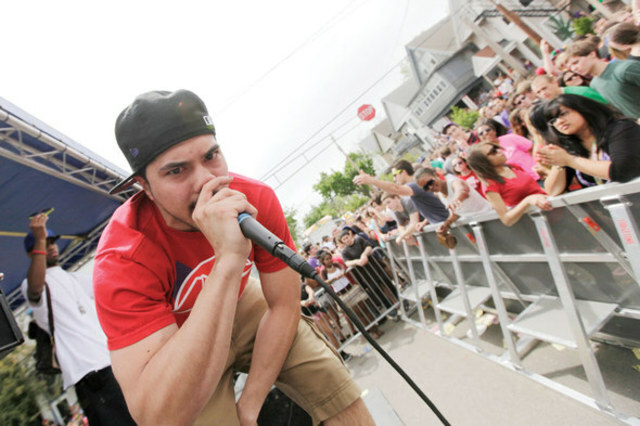 The event was called "Miffland" because police and city officials did not allow a permit for the block party. Police arrested more than 100 people that weekend. The first fours years of the event had low attendance rates, usually under 1,000 people. 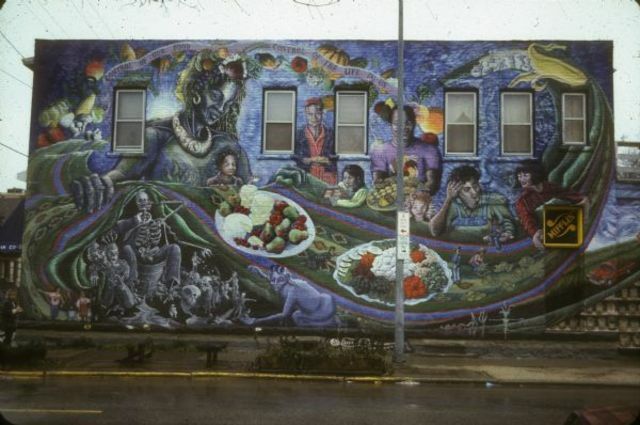 The city denied a street pemit for Mifflin in 1971 and activists took to the streets. Baracades were built in the middle of the street from garbage cans, lumber and other random findings. Some baracades were set afire up Basset Street. No party was held in 1972 and a party with much fewer attendees occured in 1973. The event then became sponsored by the Mifflin co-op on the corner of Miffllin and Basset Street. This co-op is no longer standing but the sponsoship resulted in fewer arrests and less police intervention. In 1978, Mifflin was held at Brittingham Park near Monona Bay. Following 1978 the city approved "Mifflin on the Mall," which moved crowds to state street for the next few years. 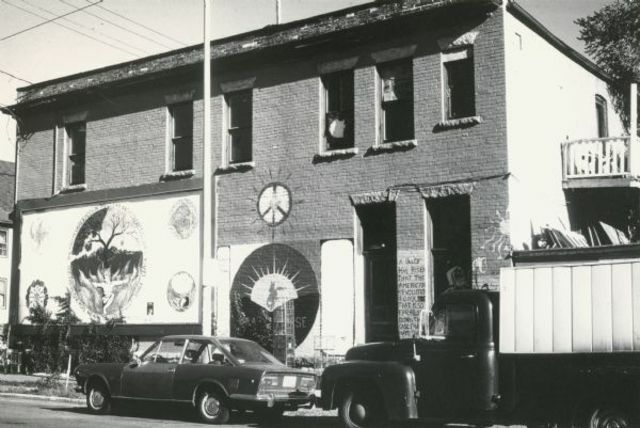 The event was held at Mifflin Street again in 1982. Thousands of people attended to celebrate and attendance numbers increased in years afterwords. The reasoning for Mifflin began to change throughout the 80's. After the end of the Vietnam era, there were no more demonstrations about war or politcs. All politlcal reasons for the event basically vanished as the 90s approached. The city made the decidison to limit alcohol consumption for the event and only allowed drinking to legally occur in enclosed "beer gardens". This led to the Mifflin co-op withdrawing its sponsorship and a large drop in attendance. 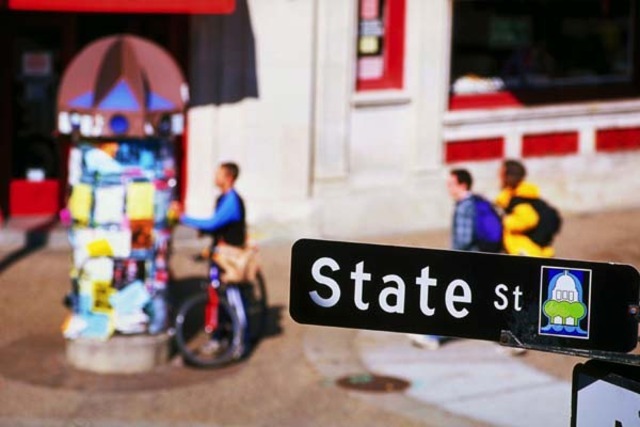 Throughout the 90's, Mifflin transformed into a student-based party to let loose the weekend before finals. Attendance rose to nearly 30,000 in 1994. Black ‘n Tan Productions organized two stages for the event which drew in a large amount of partiers from all over. The block party yet again worries local police. Nearly 15,000 people attended the block party during the day. Because it was a cool night, a few thousand attendees created a bonfire in the streets with porch furniture and other flammable findings. Police and firemen resorted to firehoses and pepperspray to break up the crowd and put out the fire.The rioters fought off authorities causing more damage. A Badger Herald article said Ald. 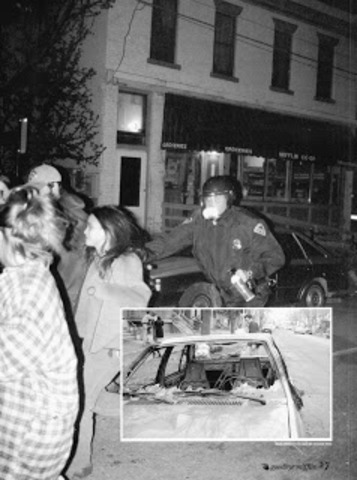 Mike Verveer from District 4 explained the riot as "hellish". In the immediate years after the 1996 riot, police made it a priority to keep people off of the street during the event. There were no bands or DJs. Party goers stayed inside the houses. The "porch parties" were repeated in 1998. Then the city tried to plan the parties because of rising attendance rates. Ald Mike Verveer said to The Badger Herald, “Since 1996 we’ve had great cooperation between cops and residents." 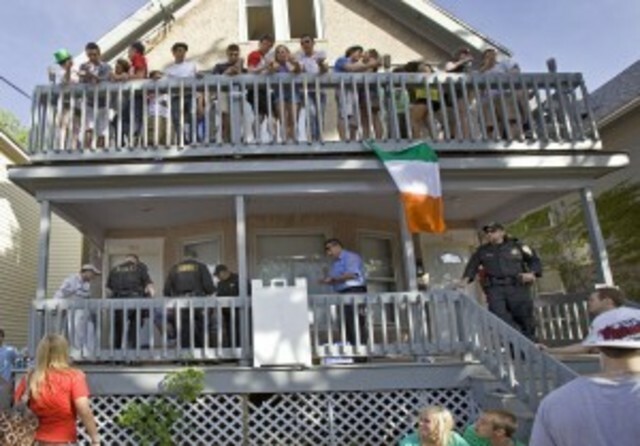 After 400 citations at Mifflin in 2002, police cracked down again in 2008. 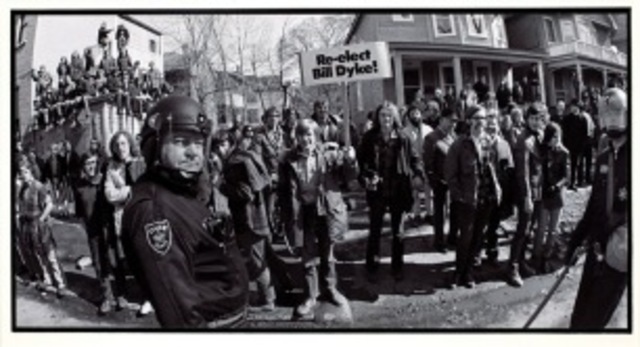 Attendance was just about 10,000 and police arrested 440 people at the block party that day. DCNY-PRO sponsored the event by bringing a sound stage to The Mifflin Street Block Party. This was the first sponsorship since 1995. 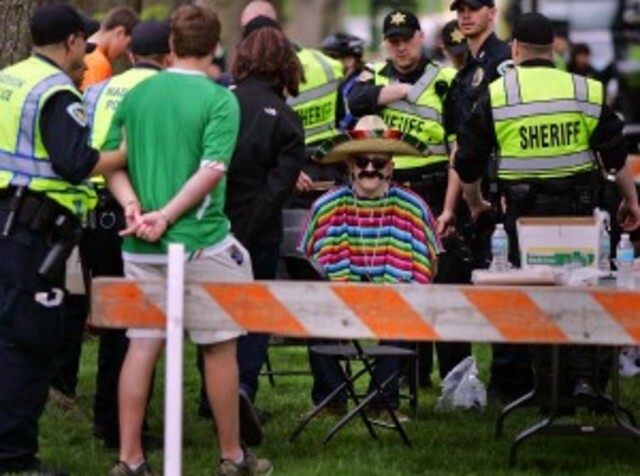 Attendance grew to 15,000 but arrests declined to 164. This was the first year the city allowed open intoxicants to be carried and consumed on the street. The streets were flooded with people. 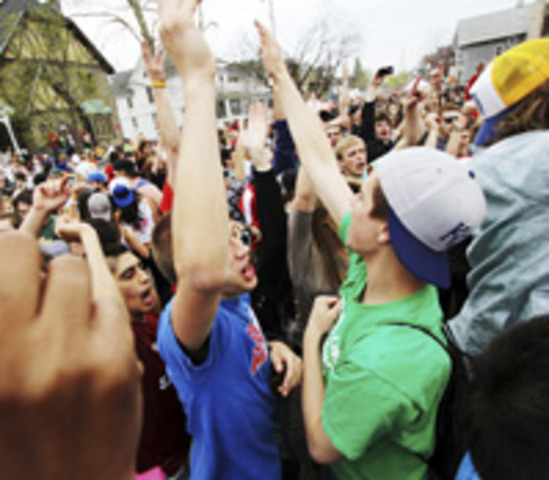 Party-goers and police recognized it as one of the largest and drunkest Mifflin celebrations. There were two stabbings and three police injuries that day. 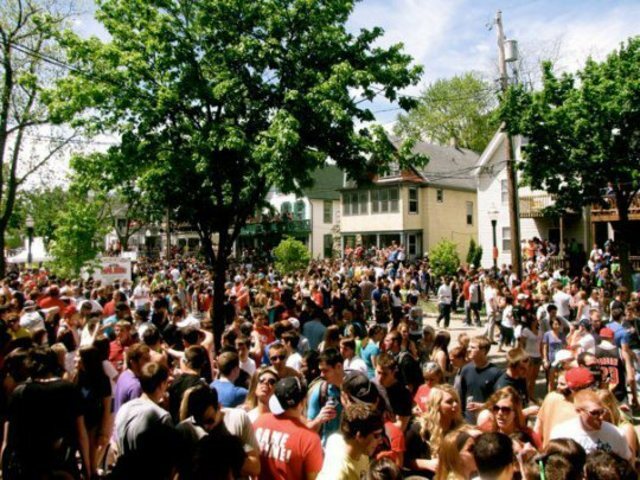 The most recent Mifflin Street Block Party was held on May 5th. Instantly the theme surrounding the event was "Cinco de Mifflin". Open intoxicants were no longer allowed on the street and the street was not closed or blocked off. Police could also arrest attendees for trespassing if they were not a guest of the residents property they were on. Out of the 398 arrests that day, only 103 were UW-Madison students and 256 arrests occured before 4pm.